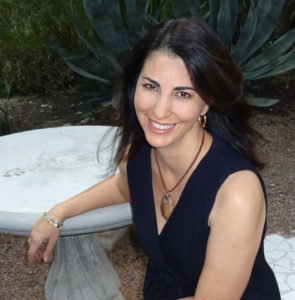 Geneviève Nedder is the owner and director of Body Fundamentals, Inc., a Pilates and Movement Studio in Tucson, Arizona. She helps clients achieve vibrant health and balance through Movement, Meditation and Ayurveda. Customized and personalized health and wellness programs for corporations, Pilates studios and destination resorts are available on an ongoing basis. Her Pilates and wellness programs improve overall health and wellness, structural imbalances, posture, flexibility and strength. She also offers private consulting services. Genevieve’s intensive and extensive Pilates education and teacher training include an in depth, decade long study with First Generation Teacher Ron Fletcher who certified her directly. Additionally, she certified with Master Teacher Barbara Huttner, and has a continued collaborative relationship with Master Teacher John White. She is a PMA-CPT and a graduate of the Essential Motion Inc. Pilates Post-Rehabilitation Program which qualifies her to teach rehabilitation Pilates. Trained and certified as a Perfect Health Educator by Dr. Deepak Chopra and other leading Ayurvedic experts, she is an Ayurvedic Lifestyle Consultant. She is deeply committed to sharing the ancient wisdom of Ayurveda, a holistic healing modality and medical science focused on improving the quality of one’s life. She holds certificates in Postural Correction, Gait-Patterning and Movement Analysis. Her 26+ year teaching career includes weekly coaching of elite athletes, Pilates instructors and weekend warriors, as well as those seeking to manage chronic pain and improve their quality of life. She founded her first Pilates and Movement studio in 1996 while living in Denver, Colorado, re-establishing it in Tucson in 2000. Contact Genevieve directly to schedule private consulting, meditation or learn more about Pilates or Perfect Health classes. Learn how Genevieve discovered Pilates. Read her story "The Unexpected Cure."